A few days after the release of the Y95, Vivo announced another entry mid-range smartphone in the Philippines, the Y91. The Vivo Y91 is the more affordable variant of the Y95. It also features a back design with gradient colors, 6.22-inch halo full screen design, Snapdragon 439 SoC, 4,030mAh of battery, and a 13MP + 2MP dual-camera setup at the back. Since it is a lower-end and more affordable device, the Y91 features a 3GB RAM and 32GB of expandable storage. The Y95 is equipped with bigger 4GB RAM and 64GB expandable storage. For selfies, you will find an 8MP AI selfie camera instead of the 20MP AI camera of the Y95. The Y91 boots with Android 8.1 Oreo OS with Funtouch OS 4.5 skin. It also has Jovi AI with AI game mode for uninterrupted gaming. 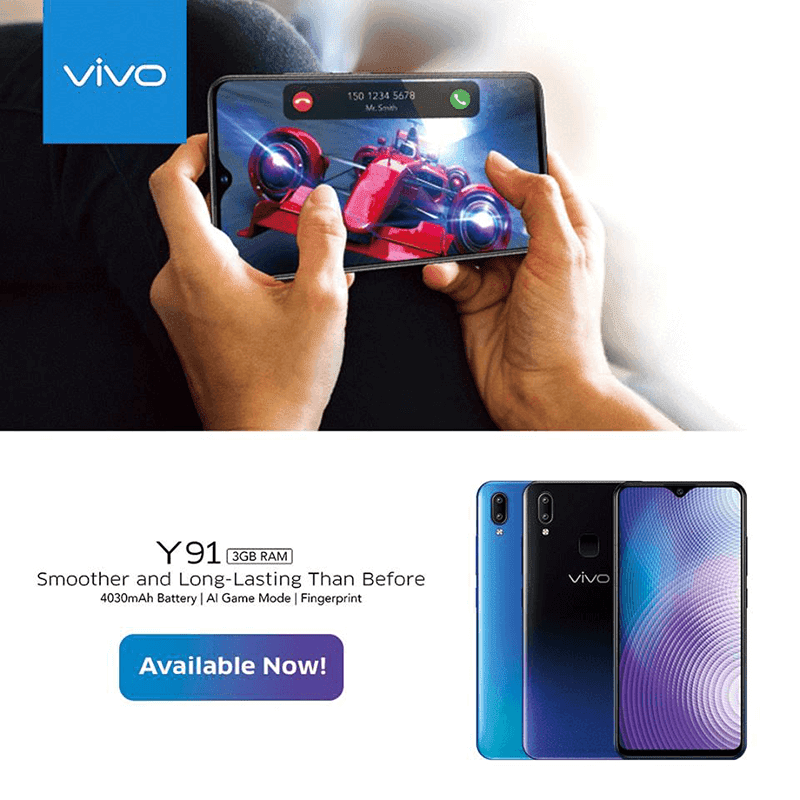 The Vivo Y95 is now available nationwide for PHP 9,999! See also: Vivo Y91 with 64GB storage launched in the Philippines for PHP 9,999!